Thanks for following my journey! My mission is to inspire and motivate young athletes from across the globe. "Are your habits today, on par with your dream for tomorrow?" Thanks for taking the time to check out my site and see what I have to offer! Through my experiences, I have learned a lot on what it takes to be motivated and how to be a motivator. Check out the ways we can connect below, and I look forward to being part of your journey. RT @macfleet1: 44 points out of the Men of Oregon distance squad this weekend, good thing you don't sign contracts to run cross country. Born and raised in North Carolina, Jake had a stellar high school career at Eastern Alamance High School prior to attending the University of North Carolina at Chapel Hill. After a year and a half, he left the Tar Heels to head west and join the Buffalos of the University of Colorado. While in Boulder, Jake earned a degree in Communication and left a mark on the record books. 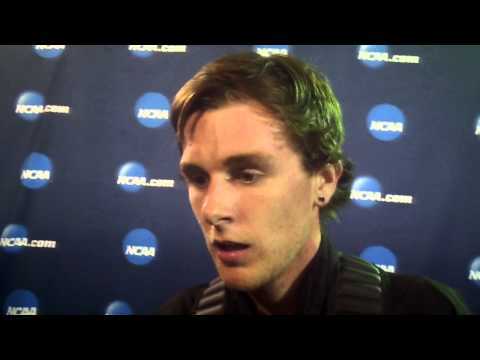 He was part of the 2014 NCAA Cross Country National Championship team, which many consider to be the greatest collegiate XC team ever, and set the CU indoor mile school record with a time of 3:58.13. Off the track, Jake's interests head to the hardwood. He is a huge basketball fan and can always be found rooting on the UNC Tar Heels. In fact, Jake did not start running cross country until his junior year of high school, having found his place on the basketball court and soccer field before that time. Thankfully for us, his father pushed him toward running. As if his speed does not set him apart enough, Jake is also recognized for the half-sleeve tattoo on his right arm, emlazened with the phrase, "Life Goes On" over a sailboat, roses, and foilage. Jake trains in Boulder, CO with the Hudson Elite.